Residential and commercial window cleaning services by New City Window Cleaning Inc. Call to schedule a cleaning or contact us now. 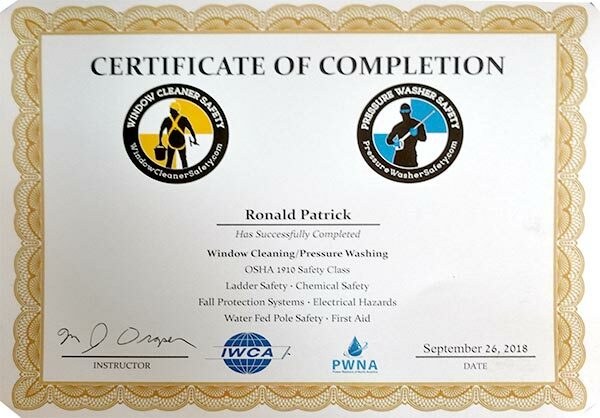 At New City Window Cleaning Inc, we offer residential and commercial window cleaning, pressure washing and gutter cleaning services in Chicagoland. We're licensed, fully insured, bonded, all employees have had a background check, and your satisfaction is guaranteed. Call 708-594-1988 today for a free estimate. Real gentlemen. We explained that my dad was seriously ill and they were very quiet and respectful. Thanks again! -- K.S. We service the Chicagoland area from the city to SW suburbs, including the following: Lincoln Park, Streeterville, Gold Coast, Orland Park, Palos Park, Oak Lawn, Bridgeview. Receive helpful cleaning tips every month. Subscribe today and receive 10% off services for new customers.